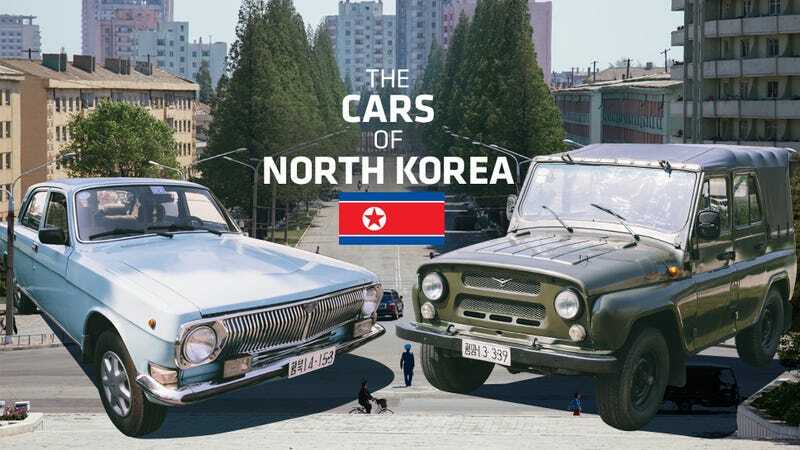 The Juche (self reliance) philosophy (which is an Orwellian euphemism for "lack of money:) means that the hermit nation manages to maximize the utility provided by their fleet of vehicles by keeping cars alive and on the road rather than in the scrapyard. Thaddeus Stapleton currently works in advertising having formerly worked for a tourism company that brought people to North Korea. He's writing under a nom de plume because he hopes to visit the country again. Photos by Radcliffe Marxwell, illustration by Jim Cooke.